Amanda is a policy coordinator for the Colorado office of the Drug Policy Alliance (DPA). Before relocating to Colorado, she served the same role in DPA’s New Jersey office. She works to promote the professionalization of harm reduction modalities in behavioral health practice and implement changes in drug policy that prioritize human dignity, social justice and public health. Kayvan is a social activist, entrepreneur and philanthropist, and the founder of art&, weaving his many businesses into art and discussions related to social policy. It is this that inspired Kayvan to create art& in hopes of helping others see these relationships and how they can impact the larger narrative related to community building and progressive civic action. Sara is a non-profit communications specialist turned event producer who cut her teeth on socially-conscious entrepreneurship at organizations such as the United Nations and The Hunger Project. She now produces and hosts the boozy local lecture series Nerd Nite and has lent her production skills to a number of other community-driven and nerd-centric events and production companies around Denver. Good art is about more than an expression of thought. Good art intertwines itself with the needs of the community. In this panel session, attendees will hear from community members who spend just as much time collaborating and facilitating the creation of art as they do creating it themselves. Musa is an innovator, tastemaker, and connoisseur of the arts. Whether expanding the common theme between music and fashion through sneakers or displaying the magic of selection through audience understanding, Musa covers all aspects of intentional art. As Program Director for Create Denver, Lisa is in tune with Denver's creative world. As an artist herself in an administrative role, she uses her position to lend powerful support to other artists, making her the perfect example of artistic civics in action. Dan Landes is a published author and founder of the two best-known vegetarian restaurants in Denver. But never satisfied with promoting only his own work, Dan is a consummate connector of artists and creatives of all kinds. Evan Weissman is the founding executive director of Warm Cookies of the Revolution, the world's first Civic Health Club. He was a member of the award-winning Buntport Theater Company for over 12 years, as playwright, director, designer, and actor. He also teaches courses on nonviolence at The Colorado College. Chris is a social entrepreneur and champion live music that is accessible for all. He is credited with the sustainability and overwhelming popularity of City Park Jazz, serving as Vice President and President from 2006 - 2014. Since 2012, he’s led Denver’s effort to create the new Levitt Pavilion Denver amphitheater in Ruby Hill Park, a civil engagement project which will open in 2017 providing open and free access to live music performances for all Coloradans. In this session, speakers will discuss how their initial pursuits in writing created their professional opportunities today. Laura Bond, Laura Bond, Ink. A former editor and staff writer with Westword, Laura Bond has written for Rolling Stone, USAA and Spin, among others. She was the 2012 recipient of the Alice Maxine Bowie Fellowship for Fiction from Lighthouse Writers Workshop, where she currently teaches in the Young Writers Program. Laura is the principal of Laura Bond, Ink., a communications strategy firm that serves nonprofit organizations including The Denver Foundation. She covers arts, culture and the creative economy for Confluence Denver. Laura performs with The Narrators whenever she feels brave enough. Jake Browne is the host of the comedy game show Uncalled Four as well as the Whiskey and Cigarettes podcast and is a co-founder of the The Grow Off. Jake was the first nationally recognized marijuana critic and has been reviewing marijuana for the Denver post since December of 2014. Josiah Hesse is a Denver based author and journalist whose work has appeared in VICE, The Guardian, Politico, Westword, The Denver Post, and others. As a journalist, Hesse covers marijuana, science, the arts, politics, crime, and pop-culture. He is also editor in chief of the literature quarterly, Suspect Press and recently released his debut novel "Carnality: Dancing On Red Lake." Krista Kafer is the co-host of Kelley and Kafer on 710 KNUS. She is also aDenver Post columnist, the co-host of “Head On” on Denver’s Channel 12, and a faculty member at Colorado Christian University where she teaches communication. Krista served as the senior expert on education policy at the Heritage Foundation and worked for two members of Congress in Washington D.C. She is a senior fellow with the Independence Institute and the Centennial Institute and an instructor with Engage to Win. Regulated cannabis is brand new, there's been some bumps. In this session, speakers will discuss what civic and industry leaders and communities are doing to work together for the benefit of all. Candi CdeBaca, a Denver native, has more than 10 years experience working with and for youth. Candi is a fierce advocate for educational equity with personal knowledge of education inequities as a first-generation high school graduate. Candi was one of the first appointments to the Denver Mayor’s Commission on Youth and was the first and youngest dual-degree graduate from the University of Denver’s Graduate School of Social Work. She was a Daniel’s Fund Scholar and a New Leaders Intern and New Leaders Fellow with the Center For Progressive Leadership in DC. Kelly Perez is the CEO/founder of the kindColorado foundation (kindCO), created to build bridges between cannabis businesses and communities to develop mutually beneficial strategies (hyper-local and community-driven) to impact the community, thus reducing barriers between industry and community. She was Human Services Policy Adviser to Colorado Governor John Hickenlooper and lead statewide initiatives including the Colorado Plan to Reduce Prescription Drug misuse/abuse. She lead a collaborative effort in the Governor's office along with with multiple state agencies to create the nation’s first state Marijuana Policy (and office) using a public health framework as a guide. As a third year student at Naropa University majoring in Peace Studies, Jan has spent many long hours researching the relationship between the War On Drugs, drug policy and its effect on communities of color. In 2015, she helped found and facilitate Naropa’s chapter of Students for Sensible Drug Policy, which aims to empower students to participate in achieving a safer and more just society. As a first-generation college student from a small border town, Jan is passionate about diversity and community-based action and advocates for a more inclusive and compassionate cannabis industry. She is interested in the nexus between racial justice and business and is looking forward to living a life full of civic engagement and learning from the heart. As a founding partner of Denver Relief Consulting and seasoned cannabis dispensary operator, Ean has significant experience navigating complex legislation and regulatory demands unique to legal cannabis operations. He was a two-time Chair of the National Cannabis Industry Association and continues to hold leadership positions with charitable organizations focused on a range of social causes, from civil rights to sustainable volunteer farming. Ean has been actively involved with non-profit groups for over two decades. His years of humanitarian experience lead Ean to conceptualize and develop a cannabis-centric service organization called the Denver Relief GREEN TEAM in 2009. Artistic creativity is, in and of itself, an entrepreneurial endeavor. In this panel session, attendees will interact with local creators who take passion for unique and inspiring art to an entirely new level. Ru Johnson is a writer, consultant and founder of creative idea firm Roux Black. She specializes in content management, branding and campaign development for people, places and things that want to engage their consumer market. Her specialty is show production, event marketing and development of brands in their early stages, providing insight and idea formation around expansion. Charlie La Greca has spent the last two decades as a creator, organizer, producer, cartoonist, and artistic entrepreneur. He has worked professionally in the illustration and comics industry for 17 years and can be seen in comics, magazines, newspapers, TV, digital media, ad campaigns, branding, corporate meetings, and live performances around the world. Bianca Mikahn is an artivist educator lyricist and healer utilizing lyricism and poetry to advance themes of wellness in community settings. As coordinator of arts-based mental wellness program Check Your Head, Partner Artist with Youth on Record and recent recipient of Westword’s “100 Colorado Creatives”, Mikahn’s imaginative facilitation approach and dynamic musical presence impacts multi-generational audiences encouraging introspection connection and rejuvenation. Jim Norris first owned his own construction company before moving into promoting live music and nightclubs in Denver, Colorado. He is now a South Broadway staple, having opened both 3 Kings Tavern and Mutiny Information Café, an independent bookstore/comic book store/record shop devoted to well made coffee and bringing people with diverse interests and backgrounds together in a common forum of art, literature and music. Brandi Shigley’s passion is turning dreamers into doers. This includes turning her own dreams into doings. She is the founder of Fashion Denver and has been an entrepreneur since 1999, blending consulting, small business development, event production and emceeing. When she’s not at her little office located in Green Spaces, you can find her rollerskating, adventurizing, making music, playing in the water, riding her bicycle and causing random shenanigans all over Colorado and beyond. Expectations can be difficult to manage. In this session, speakers will discuss what creatives can do to set themselves apart from the pack and get noticed. Wende Curtis started out as a cocktail server at Comedy Works some 30 years ago and continued to rise through the ranks to management and then became its eventual owner/proprietor in 2001. Wende expanded Comedy Works to a second DTC Denver location in 2008. In 2012, the Denver Business Journal honored Wende with its lifetime achievement award for women in business. In 2014, Comedy Works and Wende were recognized as the outstanding business of the year for a Women/Minority owned business by the Denver Metro Chamber of Commerce. Andrea Dupree serves as the Program Director for Lighthouse Writers Workshop, which she co-founded in 1997 with Michael J. Henry. Her fiction has appeared or is forthcoming in Ploughshares, Virginia Quarterly Review, Colorado Review, Freight Stories, Valparaiso Fiction Review, The Normal School, FiveChapters, Confrontation, and has been listed among distinguished stories in Best American Short Stories. She received a MacDowell Fellowship, which she used to work on a novel. Benjamin Parrish works at the independent record label Kill Rock Stars doing a variety of tasks including art directing, a&r, running social media accounts, and doing PR for various releases. In his off time he DJs, does freelance illustration, and is an amateur stand-up comedian. He was called a “cool dude” at the SXSW conference in 2013. Brian Schwartz is an artist/estate manager and partner at 7S Management in Denver, CO. Brian currently manages Dinosaur Jr, J Mascis, Milow, the John Denver Estate, Lucero, The Dandy Warhols, Jakubi, Brent Cowles, Paper Bird, and more. Brian started out as a tour accountant representing acts like Macy Gray and Widespread Panic through 2004. Brian started Bleemusic in 2005 and joined Red Light Management in 2010. Brian and his current business partners formed 7S in July of 2013. Incarceration is difficult to recover from. In this session, speakers will discuss the potential for diversion programs to help folks avoid a criminal record, and stay contributing members of society. Dr. Nerenberg is a retired emergency room physician who practiced in Pueblo for over 24 years. In his retirement, he has applied his medical expertise to harm reduction initiatives and evidence-based substance abuse treatment modalities. He serves as the Vice President of the Pueblo City-County Board of Health and was instrumental in founding Access Point Pueblo, the sterile syringe access program affiliated with the Southern Colorado AIDS Project, where he volunteers. He also serves as one of Gov. Hickenlooper’s appointees to the Colorado HIV Commission for Prevention, Treatment and Care. Helen E. Morgan joined the Denver District Attorney's Office in 1994 as a deputy district attorney where she worked in the county, juvenile, drug and gang divisions until she was promoted to Chief Deputy District Attorney in 2001. As a Chief Deputy District Attorney she supervised a district court courtroom until she was assigned to head a state-wide prosecution of a white supremacist prison gang in 2004. In 2006 Ms. Morgan became the Chief of the District Attorney's Drug Unit. Ms. Morgan continued to supervise the deputies and staff in the District Attorney's Drug Unit until January 2010 when she once again became Chief of a district court courtroom. Beth McCann is currently a state representative representing central and northeast Denver. She is the Democratic candidate for Denver District Attorney. Beth spent several years as a deputy and chief deputy district attorney in Denver and also served as Denver's Manager of Safety with Mayor Webb. She started the Safe City program after the Summer of Violence to support community based programs to keep young people away from gangs, drugs, and violence. She supervised trial attorneys in the Attorney General's office before running for elected office. She is interested in juvenile justice reform, addressing mass incarceration, building trust between the community and law enforcement, and increasing transparency and accountability in the District Attorney's office. Angell Pérez has extensive experience in youth development and community organizing. Angell served as the Director of Teen and Outreach Programs at Girls Inc. of Metro Denver for 5 years and previous to that she was the Program Manager for Denver City and County’s Youth Opportunity Girls Empowerment Program for 5 years under Mayor Wellington Web’s Administration. Angell has also worked at other local community organizations in the Denver area such as Mi Casa Resource Center and Denver Area Youth Services. Angell is also an alumni of the Community Resource Center's Non-Profit Leadership and Managment Program, the Spirit In Action; Standing In Our Power Transformative Leadership for Women of Color in Social Justice Program and The Denver Foundation's Executive Directors of Color Institute. The truest measure of success isn't the money an artist makes -- but it doesn't hurt. In this panel, attendees will hear from local creators that turned their passion into a sustainable lifestyle. Andy spent 14 years helming media outlets like Clear Channel, CBS and Max Media and most recently had a part in growing the largest Comedy radio station in the world, Denver's Comedy 103.1. Andy also is one of the country's foremost comedy producers, co-owning Sexpot Comedy, producing television and music videos like the upcoming Season Two of Hidden America with Jonah Ray, TJ MIller's 'Denver' music video and starring in his own web series. Andy left corporate media in June of 2014 to make comedy and all of its facets, his full time life's passion. Lauri Lynnxe Murphy is an artist, writer, and independent curator living and working in Denver, Colorado. She did her undergraduate work at the Metropolitan State College in Denver and received her MFA from The Ohio State University on University Fellowship in 2012. In 2005 she was the first recipient of Westword’s Mastermind Award in Visual Arts, and in 2006 was chosen Best Arts Advocate by the Rocky Mountain News. In 2010 she curated an exhibition for the Biennial of the Americas, titled Objectophilia, in partnership with the Museum of Contemporary Art, Denver. Christy is owner and editor-in-chief of Birdy Magazine, a monthly documentation of art, culture and local talent of the current time in Denver, Colorado. Her experience as a curator and producer has lead her to work for and collaborate with several publications, radio stations, non-profits, youth and homeless services and international outreach programs. Her path is simple: Art is resistance. Kinsey Zaire is a visual artist. Passionate about creating in general, she builds applications as a software engineer by day and makes everything from VR experiments to large-scale installation commissions by night. Ravi Zupa’s images are drawn and painted by his hand. He considers books the best way to experience art and has spent decades studying art from cultures and movements that span history and originate from nearly all geographical regions. Being entirely self-taught, he looks for inspiration in works by German Renaissance print makers, Flemish primitives, abstract expressionists, Japanese woodblock artists, Mughal paintings, religious iconography from Europe, Asia and Pre-Columbian Latin America, and revolutionary propaganda the world over. With a distaste for ironic art or the thoughtless appropriation of culture, he integrates seemingly unrelated images in search of something universal. Poetry is one of the most powerful ways to relay a message, and when spoken can dramatically amplify it. In this demonstration on civil inequity we will hear the words and see the images of Denver's most prolific spoken word artists. Amal Kassir is a 21 year-old Muslim, Syrian-American international spoken word poet. Based in Denver, CO, she attends university full-time & teaches workshops to communities across Denver, performing nationally & internationally throughout the semester while picking up a shift or two from her family's Damascus Restaurant. She has performed in 8 countries, over 25 cities, from youth prisons to orphanages to refugee camps. Her work in the community involves humanitarian initiatives for Syria, speaking out and organizing against Islamaphobia, and empowering marginalized voices through writing & speaking. She is a 2012 Brave New Voices International Slam Champion with Denver's Minor Disturbance & has been featured in LA Times, PBS Newshour, Colorado Public Radio, Westword Magazine and the Denver Post. Alex Landau is a father, a community member, and a human rights advocate. He was adopted in infancy by a white family, raised in primarily white communities, and educated in white schools. In 2009 Alex survived an extreme case of brutality at the hands of Denver police officers. This became the catalyst for the movement he is now engaged in where he works as a Community Organizer with the Colorado Criminal Justice Reform Coalition and is co-founder of the Denver Justice Project. Alex is pursuing racial justice, the transformation of law enforcement and working to end mass-incarceration through a lens of passion and intersectionality. Alex believes that acknowledging the impact of intersectional oppression's (race, gender, age etc.) is critical to understanding how others different from ourselves experience injustice. Toluwanimi Oluwafunmilayo Obiwole is a Nigerian-born, Colorado-raised poet. She is currently an undergrad studying Ethnic Studies at CU Boulder. She was a member of the 2013-2014 Minor Disturbance youth poetry team as well as a Brave New Voices international poetry festival champion and finalist. In 2015 she was announced Denver’s inaugural Youth Poet Laureate. For the 2015 and 2016 slam season she was a member of SLAM NUBA, and has recently acquired the position of Slam Master for the venue. She was a TEDx Mile High speaker and is the author of the chapbook: OMI EBI MI (pronounced oh-mee ay-bee mee). Currently, she is working with Penmanship Books for the upcoming release of her second book. Panama Soweto is a performance writer, recording artist and educator. He is currently the Job Developer for the Denver Housing Authority’s Youth Employment Academy. His dedication to assisting youth in Denver as a mentor and educator has been demonstrated through his work over the course of the last 20 years. He is a National Poetry Slam Champion. He is also the co-founder of Slam Nuba, a Denver based competitive slam team. He tours as one of the county’s top spoken word acts at colleges and universities, and in 2015 was awarded Diversity Artist of the Year from The National Association of Campus Activities. Channeling his roller coaster performances as a spoken word artist, his lecture is a hybrid of storytelling and mentoring. Panama challenges ideas about bullying, single-parenthood, sexual abuse, self-advocacy, and discrimination through his mastery of spoken word. Drug use isn't a crime. In this panel our speakers will discuss practical strategies and ideas aimed at reducing negative consequences associated with drug use. Dr. Burman has served as director of Denver Public Health since 2011 and is currently the interim CEO of Denver Health and Hospital Authority. Dr. Burman is a Professor of Medicine (Division of Infectious Diseases) at the University of Colorado School of Medicine. Dr. Burman joined Denver Public Health as an infectious disease physician in 1995. He earned his undergraduate degree from Whitman College and his medical degree from Mayo Medical School. He has been involved in the design and implementation of randomized trials in the treatment of tuberculosis and HIV disease for 15 years. Danna Bushell is a mother, writer, and public speaker with over twenty years of nursing experience, which she currently practices in correctional settings. She represents the Colorado Chapter of Moms United Against the Drug War and serves as Health Communications Director for Families for Sensible Drug Policy. In her personal and professional roles, Danna advocates for harm reduction and drug policy reform grounded in public health. She is a member of the Naloxone Work Group in the Colorado Consortium for Prescription Drug Abuse Prevention and will be co-presenting on harm reduction as evidence-based nursing practice at the upcoming 40th Annual International Nurses Society on Addictions (IntNSA) Educational Conference. Lisa Raville has served for the past seven years as the Executive Director of Denver’s Harm Reduction Action Center, a public health agency that works with people who inject drugs. HRAC’s advocacy has facilitated multiple statewide harm reduction policy victories including successful passage of sterile syringe access, 911 Good Samaritan and naloxone access legislation. Lisa is the Vice President of the Board of Directors of the Colorado Criminal Justice Reform Coalition and co-chair of the naloxone workgroup for the Colorado Consortium on Prescription Drug Abuse Prevention. Technology, like art, is ever changing. In this panel, attendees will hear from creators who creatively leverage the power of technology to reach new audiences. Dave Ashton, KGNU’s Denver Program Manager grew up in Denver and started hosting a Hip­Hop show during college. In 2005, Dave joined KGNU as a late night DJ and outreach volunteer. He has served as Program Manager since 2008 and has trained hundreds of volunteers and DJ’s who help run the station today. When Brandon Carter was just 17, he hosted KGNU’s Sunday night hip-hop show, Eclipse, a collaborative effort to promote local DJs, MCs, and music from around the country. 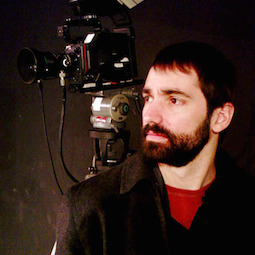 He has since gone on to work with music and film with some of the top production houses in Colorado and the world. Ron S. Doyle is the co-host of The Narrators Denver, technical manager for High Plains Comedy Festival, and creative director for Waterday Media. He is also the former Director of Studies at Boulder Preparatory High School where he taught numerous interdisciplinary, art-centered courses, merging topics like civics and film studies or watercolor painting and biology. Conrad Kehn is a composer, performer, educator and arts administrator. He is the founding Director of The Playground, a chamber ensemble dedicated to modern music. An award winning composer, Conrad's genre-crossing output includes traditional and contemporary chamber music, experimental and multi-media works, and popular music. Tony Shawcross developed and launched the visionary model for community media that has evolved into the Open Media Foundation. Before founding OMF, Tony worked with Little Voice Productions, the Colorado State House of Representatives, the Pan African Arts Society and FreeSpeech TV, among others. In this panel, attendees will hear from the people who are actively working to make sure this diverse population doesn't get left behind in an ever-expanding Denver. PJ currently serves as the Executive Director of the Buck Foundation, a family foundation that focuses on social justice issues and which has spent the last several years addressing chronic homelessness. PJ brings over 25 years of experience to the nonprofit sector where he has served as an executive director, program officer in philanthropy, development officer, board member and advocate for social change at both the local and now international level. PJ cut his teeth in grassroots community organizing on the streets of Atlanta where he lived and worked in the inner city neighborhood of Summerhill. PJ was recently awarded a Livingston Fellowship which he utilize to help his life-long friend develop an eco-justice farm just outside of Kakamega, Kenya. Jason Flores-Williams, attorney and author, has spent his life on the front lines of the American condition. When he was 13, his family was ripped apart by the U.S. War on Drugs. His father sentenced to 35 years in prison, his mother, sister and him thrown into abject poverty. When he was 27, while living in a garage in San Francisco, he wrote his first novel, The Last Stand of Mr. America. He has since run his own legal practice doing landmark constitutional litigation while representing political outlaws, dissidents and whistleblowers. His writings and cases have been written about in the New York Times,Washington Post, BBC, CNN, et al. Mr. Harris is currently employed at Bayaud Enterprises, a Denver-based nonprofit dedicated since 1969 to employment solutions for jobseekers (and employers) with barriers to employment. As Advisory Council Peer Organizer at Bayaud, Mr. Harris works with people directly affected by poverty in general, and homelessness in particular; and he, along with community/business leaders and individual stakeholders, facilitated the co-founding of People Rising Against Poverty (P-RAP) and the P-RAP Speakers’ Bureau. A native to the greater Denver metro area, Mr. Harris has also lived in Dallas, TX; Austin, TX; Los Angeles, CA; and San Diego, CA. His interest in community organizing and advocacy began in 1989 when he began serving his first prison term – this one in Huntsville, TX. That was the beginning of the end of a lifetime of selfishness: a process and an awakening that continues to this day. Denise is the Public Policy Director of the ACLU of Colorado. In that role, she oversees all legislative work that effects civil liberties at the State and local level. She is the primary person overseeing all legislatives initiatives at the state Capitol during the legislative session. Denise also sits on various municipal boards and commissions that review police and jail-related matters. She is a frequent panelist on civil liberties-related matters. Before joining the ACLU, Denise was Director of Operations for Vice President Joe Biden. She also served as General Counsel for the Office of Administration under President Barack Obama, where she managed White House contracts and personnel issues. Some of Denver's most accomplished artists will engage in live demonstrations in and out of McNichols Civic Center Building. Gemma Danielle is an artist and certified Usui Reiki instructor. Her work is a medium for the healing energies of Reiki, exploring the effects of intention in creation. She often references the ancient meditation tool of the mandala as a conductor and generator of this energy, repeating silent prayers, or mantras, as she weaves intricate webs of straight lines. She claims these pieces exist in multiple dimensions and can elicit an involuntary emotional response. Gemma also offers healing sessions, sound therapies, and plant medicine ceremonies as creative experiences and personal empowerments. Jolt is a graffiti writer, fine artist, muralist, and curator with over twenty years of experience creating public art, commercial murals, live art performance and curating events around art. With experience in hosting radio, creative consulting and public speaking. The work of very few artists is as visible throughout Denver as Jolt's. He is a leader in the Denver art community, an activist, and someone the city of Denver now commissions to create jaw-dropping works like the 5,000-square-foot, eight-story-tall "La Alma de la Mariposa" on the apartment complex just north of the 10th and Osage Light Rail station. Patrick Kane McGregor is an artist native to Denver that spent the last 25 years learning every aspect of the art of hand-painting advertisements on the sides of buildings and skyscrapers while dabbling in graffiti. His art is a mix of these two styles creating everything from big portraits and photo realism to large scale wall scape murals and lettering/signage. Robin Munro is a local Colorado artist and founder of Crush. Building a platform for local and international artist to work together has been one of his life time goals. Bridging gaps in the art world, he finds most joy when collaborating with new people.